Methadone clinics provide a vital medical service to those with an opioid addiction. However, many people in society have a distorted view of what a methadone clinic represents. Clinics almost always operate smoothly and quietly while blending into the background of the communities in which they are located. A recent article highlights the irrational fear, and obvious bias, that some uninformed individuals hold toward those in methadone treatment. Habit OPCO Inc. sought to open a clinic in Dunmore, PA but received considerable opposition even though the proposed site for the clinic was located in a commercial zone. In reference to the proposed clinic, the town of Dunmore instituted an ordinance requiring that a methadone clinic not be constructed within a half mile of a church, school, playground, day care, senior center, charitable institution, liquor store, or any hotel that serves alcohol. These prohibitions show a serious degree of paranoia which only perpetuates unrealistic stereotypes of those who seek methadone treatment as a service. Habit OPCO have challenged Dunmore's ordinance citing its discriminatory nature and that Dunmore are placing conditions on methadone clinics that are not applied to other medical facilities and services. The stigma around methadone clinics, and their clients, is unfair and unjustified. Communities are actually safer when life saving treatments are made available to those with an opioid addiction. There is no reason for any community leader to take an alarmist position in regard to the opening of a methadone clinic. People with an addiction who are seeking help should not be discriminated against. In time, this will change. Fortunately, it already has in some communities. Read the position of Methadone.US, here -> "A Message to the Community"
Interest in methadone as an opioid addiction treatment is continuing to grow. Many of the phone calls that clinics receive are based on direct word-of-mouth recommendations from current clients & former clients. I often perform telephone and walk-in triage for clients seeking methadone treatment at one of our local clinics. A majority of these individuals report prior efforts to address their addiction through traditional detox and/or intensive outpatient counseling. Some report multiple rounds of inpatient rehab. I am often impressed with the readiness of callers to try something new. And it's clear that many feel they are running out of options and wondering if any treatment will ever work for them. In discussing methadone as an option, it is important to inform prospective clients that methadone is a powerful opioid replacement therapy, but that it may take several years before one can realistically attempt to taper off of methadone successfully. As treatment professionals, it is important to help educate on both the negative and positive characteristics of treatment choices. 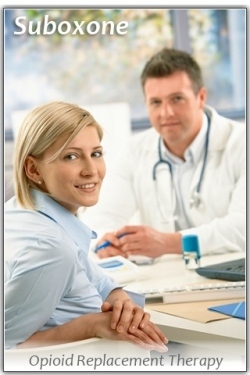 Those not familiar with opiate addiction may not readily grasp what it means to go through opiate withdrawal. For the addicted individual, he or she knows all too well how sick and uncomfortable it feels when withdrawal symptoms begin to surface. Typical symptoms include diarrhea, muscle aches, cramps, fatigue, chills, runny nose, nausea & vomiting, sweating, shakes, sleeplessness, agitation, and depression. 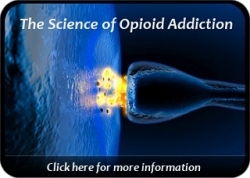 The duration of opiate withdrawal symptoms varies from person to person depending on the type of opiates used, amount, length of time, and method of use. Some individuals may feel symptoms dissipate after just 1 or 2 days (obviously a preferable scenario). Others may feel withdrawal symptoms for weeks after last opioid use. Continued cravings for opiates may extend well beyond the disappearance of physical withdrawal sickness. This is due in part to structural changes which have occurred in the brain in which additional opiate receptors have been created along with a heightened sensitivity to the absence of opiates. Cravings, like the other more prominent withdrawal symptoms, tend to fade over time as the body tries to restore an equilibrium. However, drug use urges can be brought on when an individual is exposed to triggers associated with past drug use. There are those opioid dependent persons who seem to never reach a normal equilibrium again, and who may benefit from long term methadone maintenance. This allows them to feel normal, and to achieve a higher level of functioning & comfort. Buprenorphine is now also used for long term maintenance although the vast majority of maintenance cases are achieved through methadone. In reviewing the abundance of opioid treatment programs across the country, it was interesting to compare larger metropolitan cities with some of America's smaller, more rural towns. Typically, big cities have a higher concentration of methadone clinics and rural areas might have one or two programs. One standout is the city of Baltimore, Maryland which currently provides 27 methadone clinics. By contrast, Brooklyn has 25. Brooklyn is the largest borough of New York City with a population of approximately 2.5 million people. Boston, obviously a densely populated metro city, has only five opioid treatment programs. A positive development over the last decade was the emergence of more opioid treatment programs in rural America. Here is an example. Boone is a North Carolina college town of just over 14,000 people. Ten years ago they had no methadone programs. Today, they have two clinics, likely due in large part to the town's increased student population when Appalachian State University kicks into high gear each fall. Historically, many opioid addicted individuals have had to travel great distances to become clients of a methadone treatment program. Thankfully, opioid treatment programs are becoming much more accessible. While not always readily accepted by local area residents, methadone clinics serve a critical need in the community. And their availability brings many benefits. Suboxone® (a branded medication of Reckitt Benckiser Pharmaceuticals) is a relatively newer opioid replacement therapy consisting of a combination of buprenorphine and naloxone. Buprenorphine is the generic, active ingredient in Suboxone that provides extended relief from opioid withdrawal symptoms. Naloxone is an opioid antagonist that deters abuse of suboxone by injection. Methadone and buprenorphine are the only two opioid medications which are FDA-approved for the treatment of opioid addiction. While they achieve the same end, they have significant differences. Buprenorphine can be administered in a physician's office, and is considered safer than methadone. However, buprenorphine is a "partial" opioid and provides little benefit beyond the maximum dose of 24 mg. This is sufficient for many opioid dependent persons and will provide substantial relief. Methadone, by contrast, is more powerful and does not have the same ceiling effect of buprenorphine. Some clients find that they are more comfortable on methadone. It is not easy to predict which clients can be effectively maintained on buprenorphine. Some individuals have started on methadone for maintenance, but then later switched to buprenorphine to complete their medication taper. Currently, Suboxone costs more than methadone. For this reason, many seeking opioid replacement therapy will choose methadone. There is some opinion that longer term opioid addicts tend to stabilize better on methadone over buprenorphine (Suboxone). In the end, the choice of which replacement medication to go with is best determined by the client and their physician. What is most important … is to seek help as soon as possible.